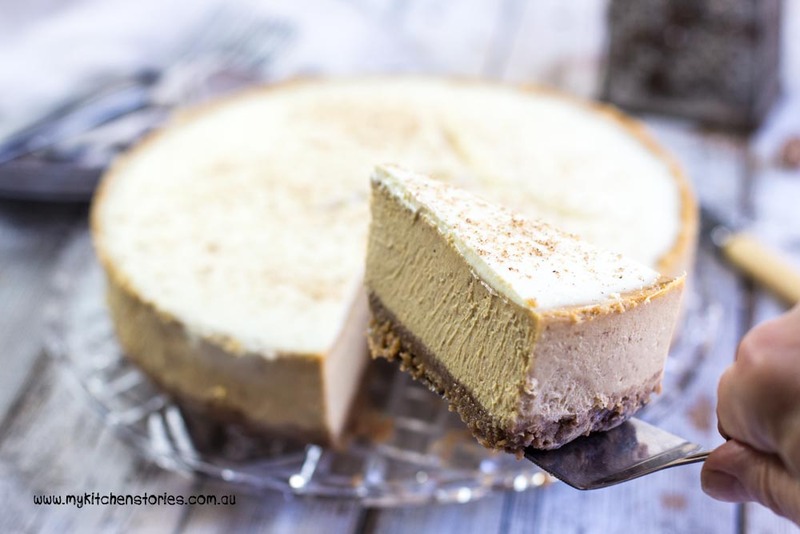 Pumpkin Latte Cheesecake. Just in time to celebrate Thanksgiving. It’s hard not to think about the US at the moment. I have made two trips there during the long 18 month election campaign and I for one would never have guessed at the outcome and don’t even pretend to understand how it works!. Watching the news on my visits was a bit like watching some crazy soap opera. I am wishing all my US readers and friends a happy Thanksgiving and I hope the world is still a sane place next time Thanksgiving rolls around. I was thinking of traditional Thanksgiving flavours but wanted to bring the creamy comfort element up a little. I think we all need a little comfort and care. These are strange times and we need to look after each other. Suddenly the world looks divided into different sections and I am worried. So, I am staying in the dessert section for now. It’s the section where we are really nice to each other and where women are treated with the respect they deserve, there are no skin colours and I can marry whomever I choose. It’s a place where every speaker in every shopping centre, house and radio plays Prince songs. Yep. 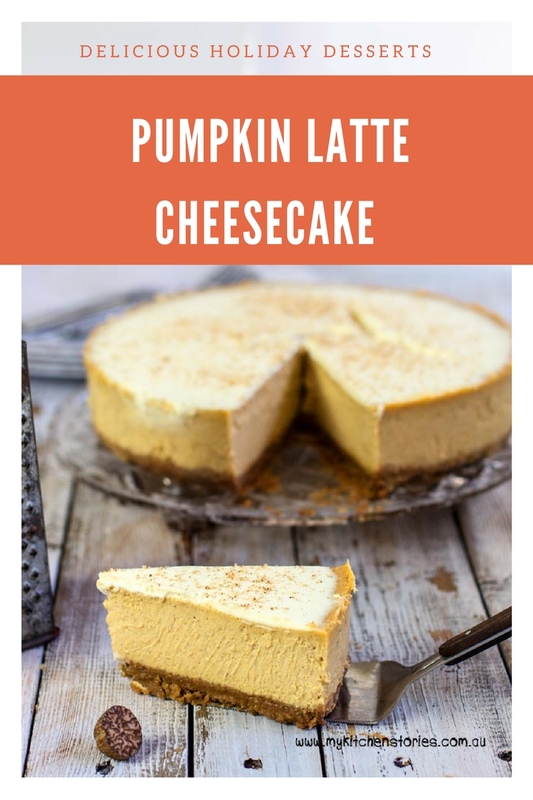 So eat Pumpkin Latte Cheesecake, for now. It’s delicately delicious with warm pumpkin pie spices. 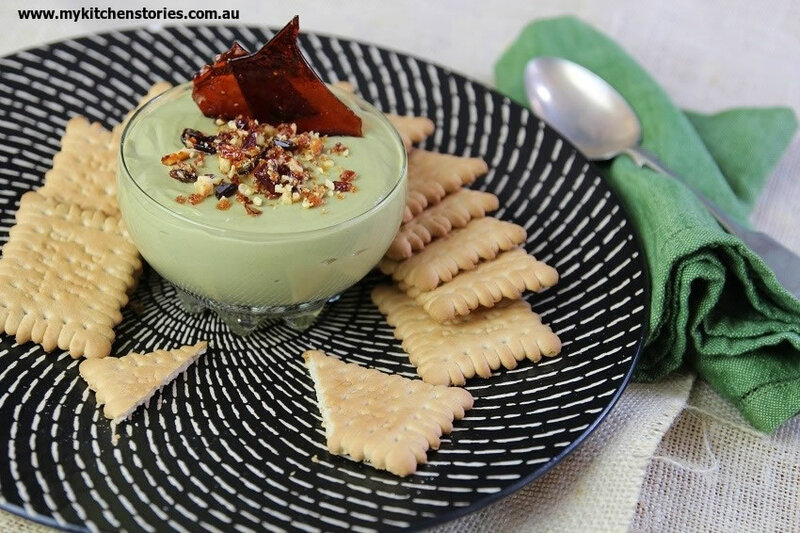 If you are in other parts of the world this will make a pretty good warm weather dessert too. It is topped with the most creamy lightly sour creme fraiche….how I love that stuff. So the moral of the story is undercook in preference to overcooking. ( take out when still a little wobbly cool slowly to room temperature then chill overnight) This one is not only made with baked pumpkin (pumpkin in tins is hard to come by in these parts) it also has another special feature. The pumpkin is cooked down a bit with the sugar to intensify the flavour before you make the cheesecake. It really is worth it. It tastes so good! 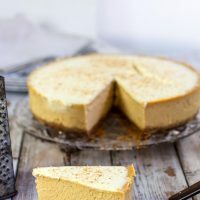 This pumpkin cheese cake takes just that tiny bit extra time but I know you are going to love it. Turn the oven down to 160 C / 320 F Put the pumpkin, cream cheese, cream, vanilla and eggs into the food cleaned processor and mix till smooth. Pour into the tin (don't forget well lined with foil). 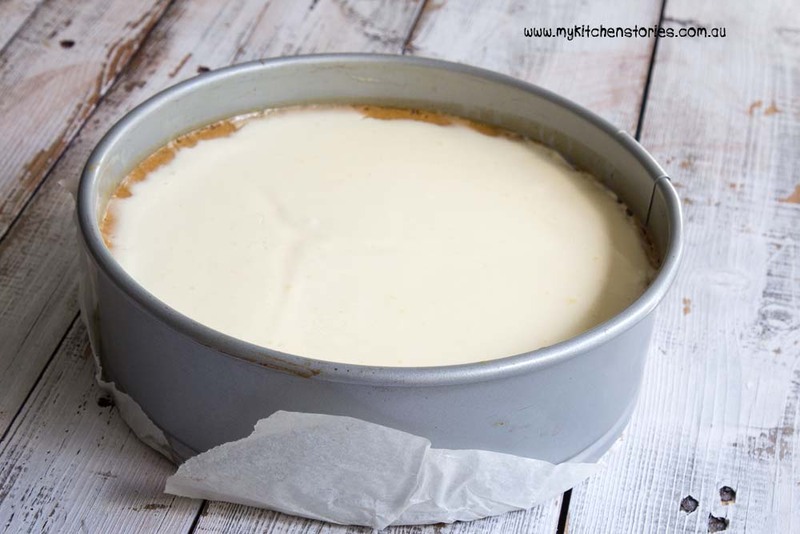 Boil the jug and pour water into the water bath to half way up the side of the cheesecake. Crumbs should not be greasy nor should butter squeeze out of them. That looks like a dream cheesecake! So creamy, rich and tempting. The world certainly has taken a turn for the weird, hasn’t it? I’m with you – the dessert section is the best place to hunker down for now. 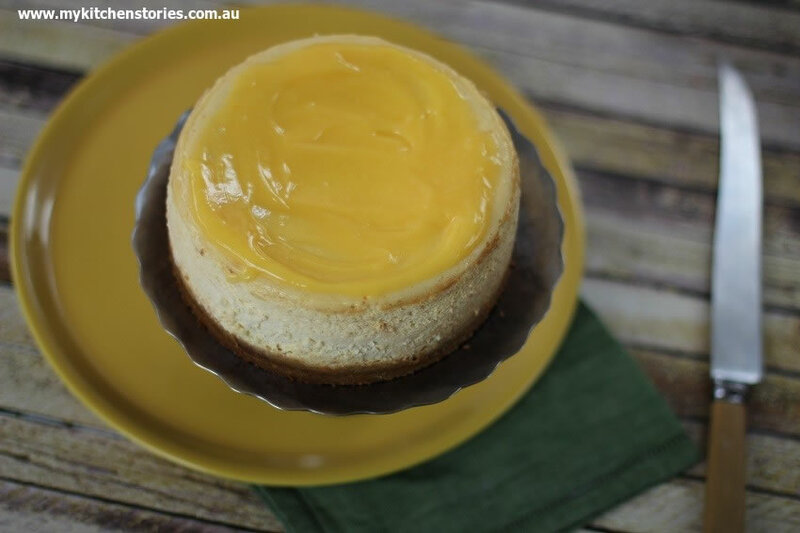 Love cheese cake and roasting the pumpkin with the spices would really enhance the flavour. Yes….it is worrying to see what is happening in the US! What a perfect recipe for this time of year. Yum! Wish I wasn’t so far behind getting around WP. This would have been a perfect dessert for Thanksgiving. I’m not one for lattes of any stripe but cheesecake? Well, that’s a different story completely. Thanks for sharing, Tania.